I was going through a rarely used drawer in my office recently and came upon this picture that I had forgotten about. It was taken on April 16, 2006. My daughter was ten days old at the time. 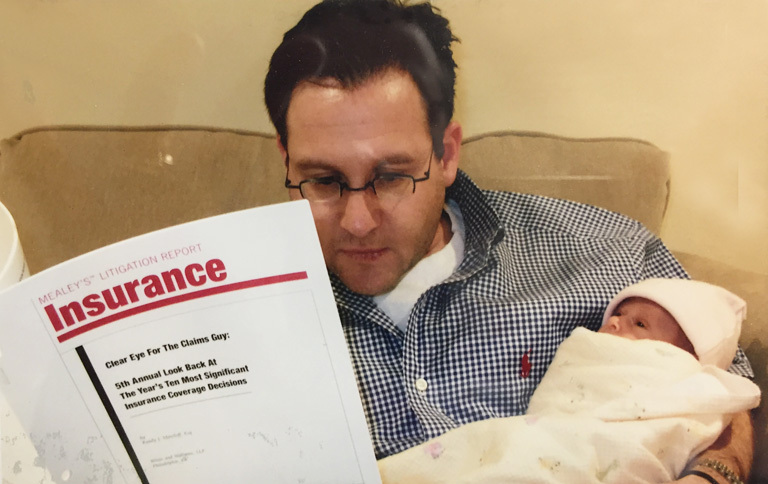 And there I was -- reading her the 5th annual Top 10 Coverage Cases of the Year article. Don’t worry – I read her real books too – like that that children’s classic: Oh, The Places In An Insurance Policy You’ll Go.